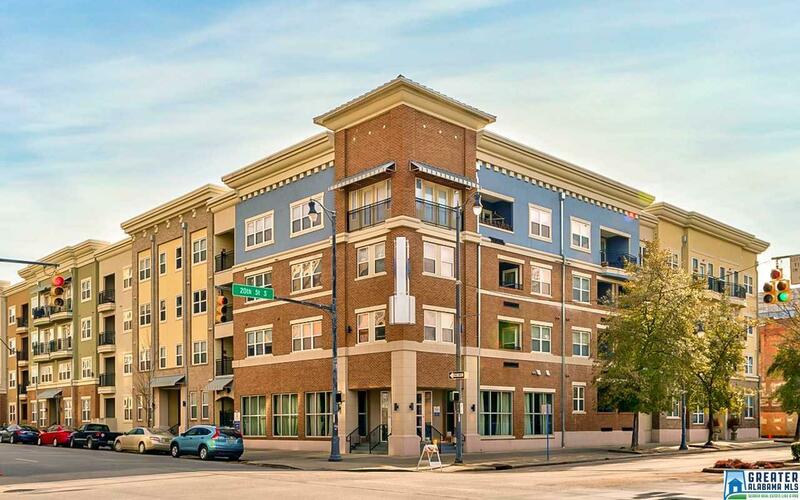 Beautiful 2 bedroom condo, located a few short blocks away from UAB, Railroad Park, Regions Field, and all of the new hot spots Downtown Birmingham has to offer! This condo has it all and features hardwoods throughout the main living areas, stainless appliances, a split bedroom floor plan with two full baths. Enjoy a beautiful spring day on the balcony whether you are studying or having a cup of coffee on the 250 sq ft balcony. This condo also has all one needs for never even having to get their car out of the covered, secured garage. This condo is also equipped with a fitness facility and pool on site. This is an incredible investment opportunity, so don&apos;t miss out! Driving Directions: Corner Of 4th Ave South And 20th Street. Located In The Heart Of The Uab Medical District.